Thumbi Ndung’u is an Investigator and Max Planck Institute for Infection Biology Research Group Leader at the KwaZulu-Natal Research Institute for Tuberculosis and HIV (K-RITH). He is Professor and Victor Daitz Chair in HIV/TB Research and Director of the HIV Pathogenesis Programme (HPP) at the Nelson R. Mandela School of Medicine, University of KwaZulu-Natal. He holds the South African Research Chair in Systems Biology of HIV/AIDS. He is also a Howard Hughes Medical Institute International Early Career Scientist. 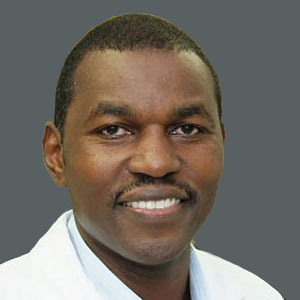 He graduated with a Bachelor of Veterinary Medicine degree from the University of Nairobi, Kenya, and obtained a PhD in Biological Sciences in Public Health (Virology) from Harvard University, United States. His research interests are host-pathogen interactions, especially antiviral immune responses. He is leading a multidisciplinary team of researchers working in the fields of HIV and TB pathogenesis and vaccine development. He has special interest in capacity building for biomedical research in Africa. For the collaboration, Profs Ndung’u and Edward will continue to collaborate to study HIV pathogenesis and vaccine induced immunogenicity. Prof Ndung’u will also address the question of whether the production of Type 1 IFN and downstream products by HIV-infected macrophages result in lung-specific alterations to the immune environment.